This sample cell has been designed for TSDC measurements of solid samples. In order to avoid piezoelectric effects, there is very little pressure applied to the sample when it is mounted between the two electrodes. Both electrodes are very well isolated from the sample holder and top flange. 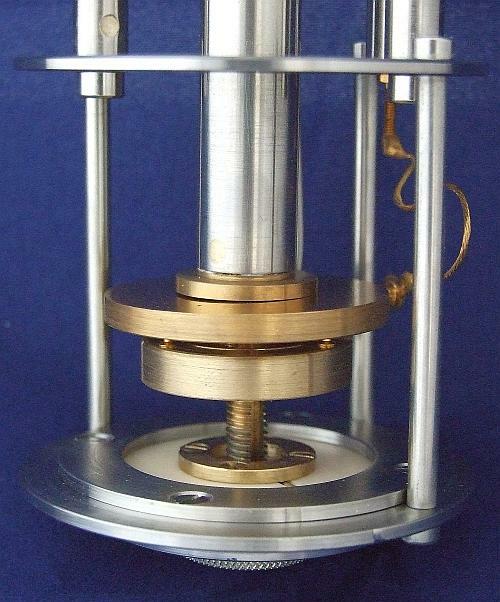 The connections on the top flange includes a high voltage connector for the high DC-polarization and two BNC connectors for the electrometer input.